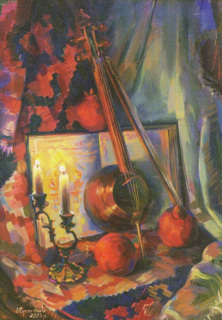 Armenian Still life with candles. 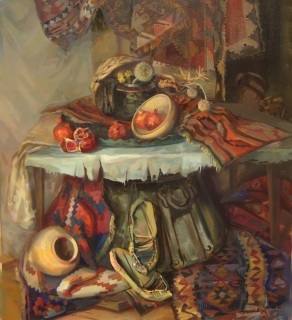 Armenian still life with a wheel. 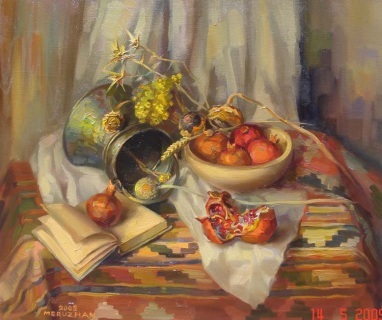 Armenian still life with a wheel and pomegranates. 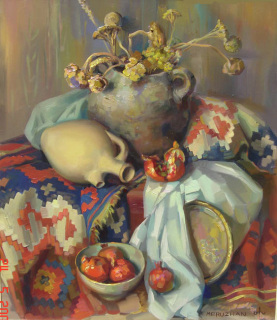 Armenian still life with a jug. 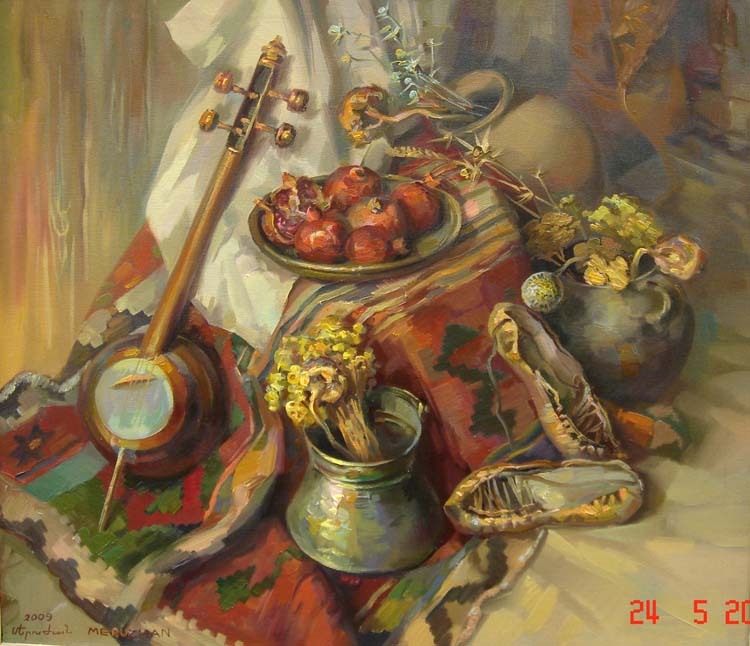 Subjects of Armenian culture and life in special still life composition. of this painting on order. The Armenian still life with ghazan. 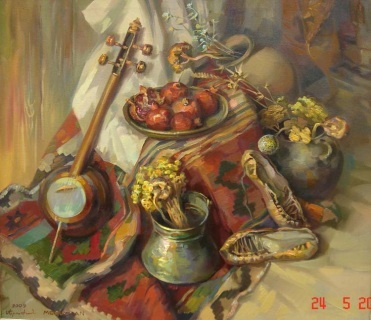 The Armenian still-life with subjects of Armenian culture. 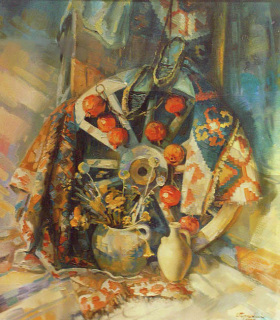 Armenian Still Life with Kamancha and grenades. 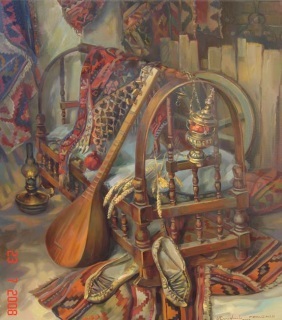 Old and kind Armenian still life. 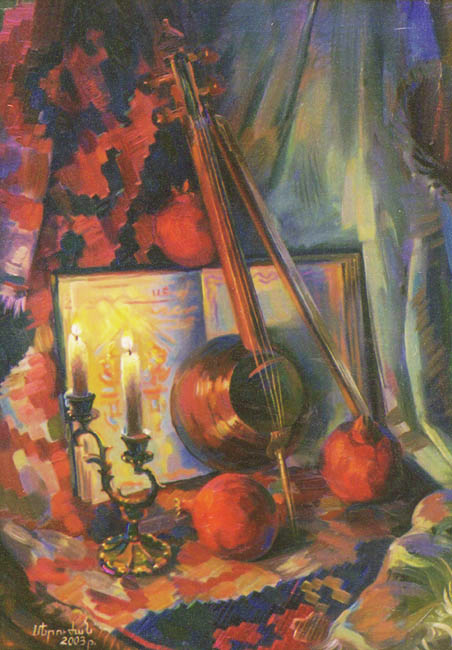 From time to time it is necessary to look at the true values.